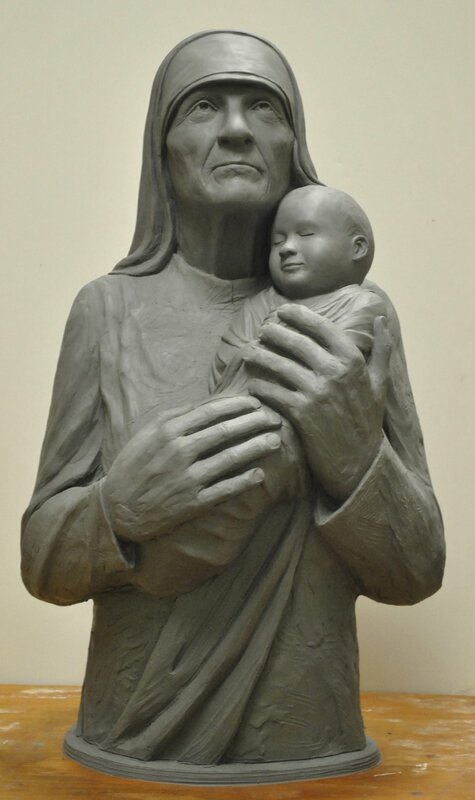 This clay portrait figure of Mother Teresa was a commission from The Museum of Spiritual Art in Franklin, Ohio. 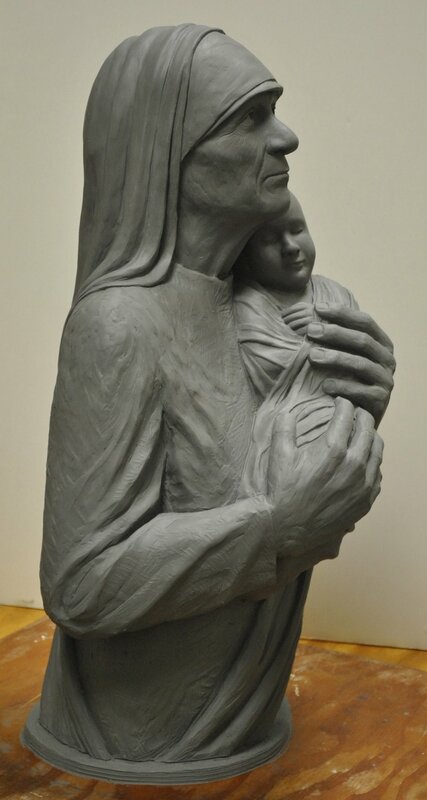 I made her hands big, a symbolic statement about the power of her deeds in life and all the burdens she was able to carry, and also, as they hold the child, emphasizing the protective nature of her caring. I was struck by how moving it was to work on her portrait. 22 x 11 x 10 inches.